FRESNO, CA—Emphasizing that a clean break was probably best for all parties involved, prominent Republican donor David Heyward announced Tuesday that he contributed $4.5 million to Devin Nunes on the condition that the California representative and House Intelligence Committee chairman retire upon receipt of the funds and never show his face again. 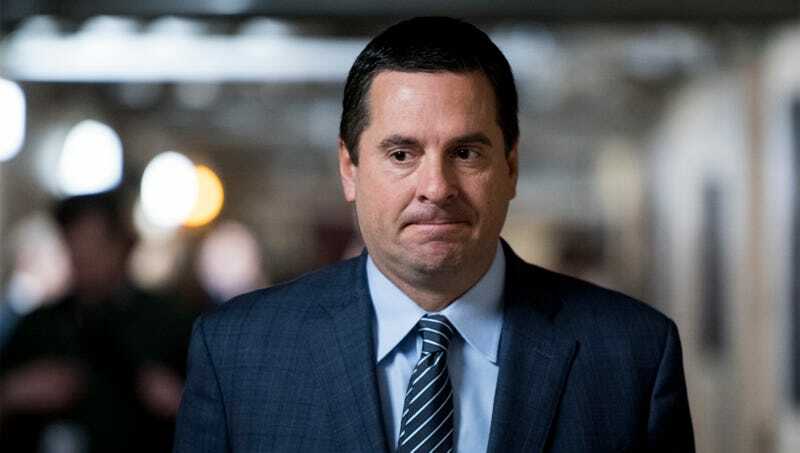 “No questions asked, just cash the check and go do something—anything—else,” said Heyward, 57, adding that several of his wealthy, Republican friends were prepared to “sweeten the pot” as soon as they could secure ironclad assurance that Nunes would never again speak on the record or be seen in public. “You’re what, in your 40s now? Great, great—so buy a plane ticket and travel the world for the next couple decades. Play some golf. Take up painting. Buy a boat. Seriously, we don’t really care what you do, but please, for the love of God, do it someplace that is not California’s 22nd congressional district.” Heyward’s offer was made mere weeks after a flood of grassroots donations briefly crashed a GOP fundraising page promising to send Nunes on a lengthy fact-finding mission near Earth’s oceanic pole of inaccessibility.